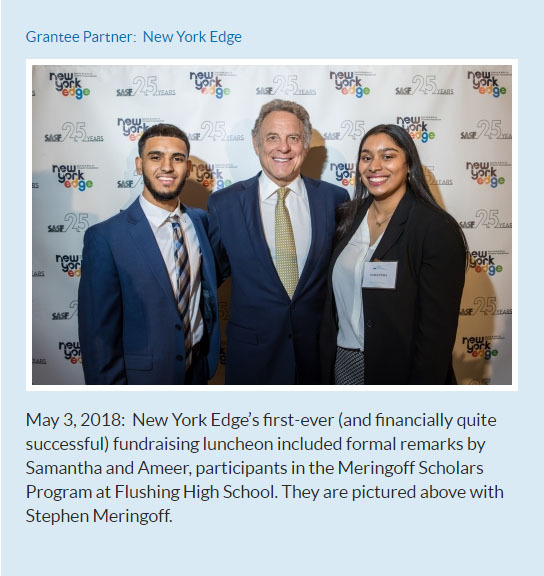 New York Edge is featured on the Meringoff Foundation website with this wonderful photo of Stephen Meringoff with our Ameer and Samantha of Flushing High School. 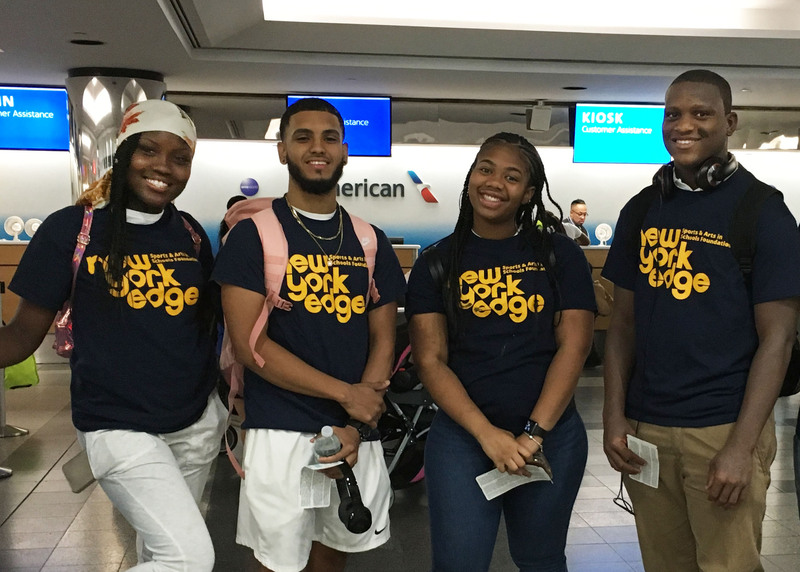 For more information on The Meringoff Family Foundation and their partnership with New York Edge visit their site at http://bit.ly/2KV0ZB8. Excellence gaps are among our country’s most serious problems. They widen inequality, rob students of their intellectual dignity, and cause serious cultural and economic damage due to lost talent. We need to build on this helpful report to conduct additional policy research on advanced education, use universal screening with local norms to close identification gaps, and attack the widespread bias that restricts access to high quality programming. SASF’s students created “superheroes” who stomped out segregation, marginalization, and oppression. They also experienced the joy of competition and fitness through floor hockey clinic. Each elementary school grade will have the opportunity to compete in their own Spelling Bee. The day will also consist of storytelling and literacy activities for both students and families as well as an interactive game show hosted by Hollyrock Entertainment. Art + Technology + Leadership – Boundaries = Innovation. Art + Technology + Leadership – Boundaries = Innovation. This was the winning formula for another inspiring Art Day. Art Day is part of the SASF Art Department’s educational series designed to build self-confidence and empowerment. Throughout the day, students from about 40 schools learned that art has the power to transform perceptions of identity and reality. This is an opportunity to use artistic expression to explore difficult social situations and work collaboratively to find solutions. This year, the theme was “innovator in you.” The inspiring day combined STEAM with an educational, hands-on arts experience. The day concluded with a culminating event featuring fashion garments, music, dance, theater and spoken word. 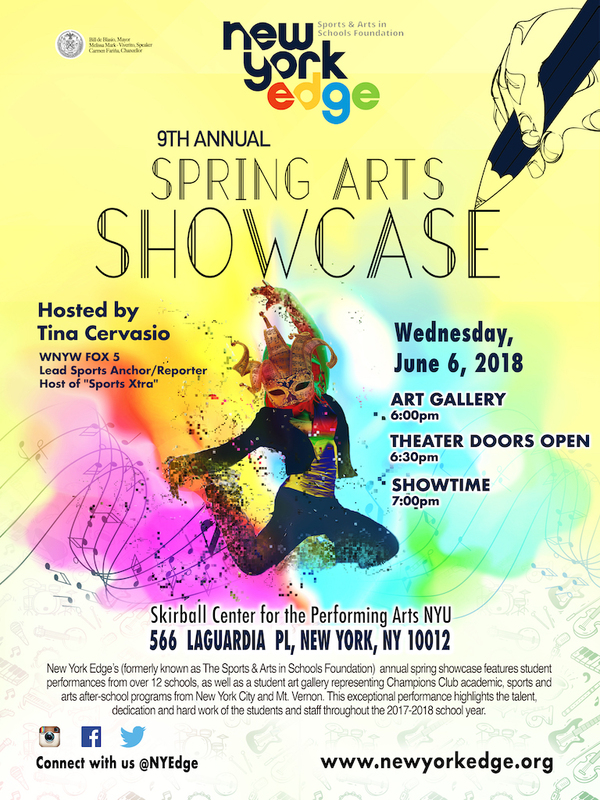 With the help of professional teaching artists from all over the New York metropolitan area, Art Day was another successful occasion where over 200 students explored, created and found the innovator in themselves. Over the past season, SASF students had the chance to create “earthworks mandalas.” A mandala is a symmetrical structure organized around a center point. Creating a group mandala is a unifying and communal experience in which people may express themselves individually while contributing to a larger, unified structure. Traditionally, Buddhists work for days to weeks on sand mandalas which they then destroy after its completion. Mandalas represent impermanence and wholeness. Students were allowed to use sticks, rocks, leaves, flower petals, sand, berries, dirt, shells, grass, or any other natural items. They could also opt to adhere their natural items to a surface (if they wish to preserve their project) or destroy their mandala.